Hummus can be expensive to buy, but it can cost just pennies to make. Try your hand at this classic chickpea bean dip today. Hummus is a dip that can be placed in a sandwich, eaten with chips, crackers, or just about anything that you desire. 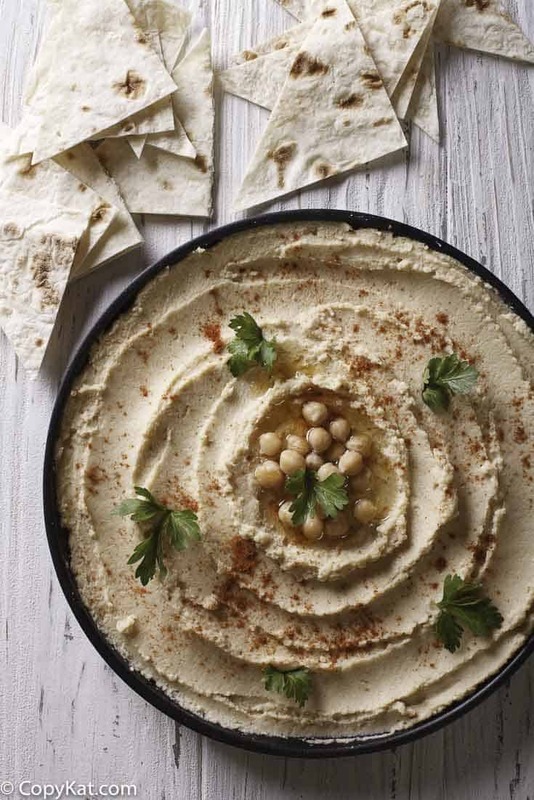 This recipe for hummus brings garlic to the center stage. Don’t miss out on this classic hummus dip that the garlic lover in you will love. If you have never made hummus before you will be amazed at how quickly it can be made. If you have a food processor or a blender, you will see it can be put together in the time that it takes you to assemble the ingredients. How does it taste you ask? It tastes better than what you can buy at the grocery store. So why not try your hand at making homemade hummus? Garlic hummus is a variation on the basic hummus recipe, if you wanted, you could omit the garlic, and prepare the recipe without it. 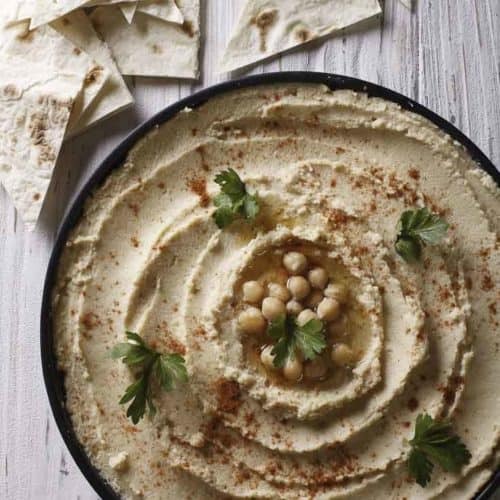 Love hummus and other Middle Eastern style recipes? Check out these favorites. It's so easy to make garlic hummus at home. Mash the chickpeas, or put all the ingredients in a food processor to make a paste. Place into a bowl, and serve it decorated with finely chopped onions, chopped parsley, or even Cilantro. Drizzle olive oil on top. 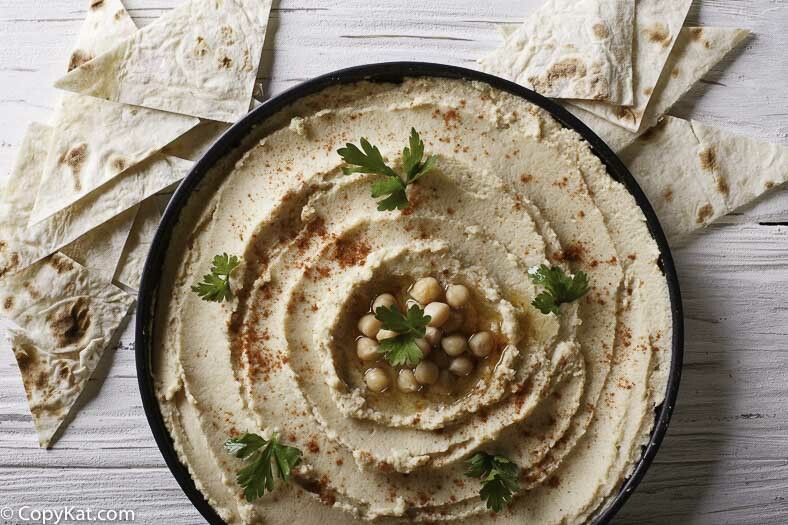 I love this Garlic Lover’s Hummus, it’s simply perfect.